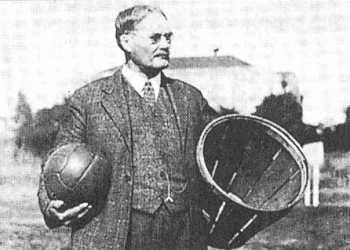 When Dr. James Naismith set out to create a game that would keep the students in his gym class active during the cold North East winters, he looked to create a strenuous activity that would keep the attention of his students while allowing them to increase their fitness level. What was born on the floor of the YMCA gymnasium in Massachusetts in December 1891 was the sport of Basketball. Not only is this fast paced end to end game great for working up a sweat, but it’s back and forth nature make a perfect environment for a vigorous daily fantasy contest. Much like how the sport has evolved from using peach baskets as hoops, your daily fantasy basketball lineup must evolve to incorporate projections based on a wide variety of factors. Predicting how many points a player will score is important, predicting how those points will be earned (2 pt, 3 pt, free throw) is key to finding success. In order to build an optimal NBA lineup for your daily fantasy efforts, you’ll need to formulate a prediction for all of the scoring metrics your chosen site uses to settle contests. The majority of DFS operators focus on 2 point, 3 point and free throws for offensive metrics. With rebounds steals and blocks for defensive metrics. Our NBA DFS predictions output each scoring category based on the rate that each will occur per minute played. In doing so, it allows us to focus on the amount of minutes we feel that player will play for the given day. Once we input the minutes we feel the player will play, the algorithm will give us player rankings for each member of the team. From there it’s easy to identify the fantasy studs, duds and sleeper picks that will allow you to build a winning lineup. Although the NCAA has requested that daily fantasy operators cease offering contests on their leagues, the operators have made it clear that they have no intention of doing so. College basketball (CBB) DFS is a relatively new endeavor which means the edge to be exploited is generally greater than its big brother. With contests spread across all of the major conferences, come March Madness, it can be a struggle to build your fantasy lineup because the majority of the teams and players will be facing each other for the first and possibly only time in their careers. As a result, the need to simulate games is a must because the match up data available is unreliable at best, generally suited for media quotes and nothing more. If you’re planning on turning those potential daily fantasy winnings into legitimate ones, you’ll need to look beyond the stat leaders for each team and into the match up advantages that present themselves based on the nature on the college game…Or, you could just follow the DFS Doctors projections, which do it all for you. As of the writing of this article, women’s basketball DFS has yet to hit the market. However, The New York Liberty recently signed a partnership with DraftKings, while the Washington Mystics have joined forces with Draft Ops. With two of the twelve teams now partnering with operators, the addition of WNBA daily fantasy sports can’t be far behind, and not a moment too soon. We’ve started modelling for this eventuality, and come the time that contests are offered, we’ll be uniquely positioned to provide all of the fantasy tips and picks you’ll need to find success right from the start. As always, our strategy is to stay ahead of the pack when it comes to predicting games. While other sites will scramble to provide you with quality information, we’ll be ready when the time comes.